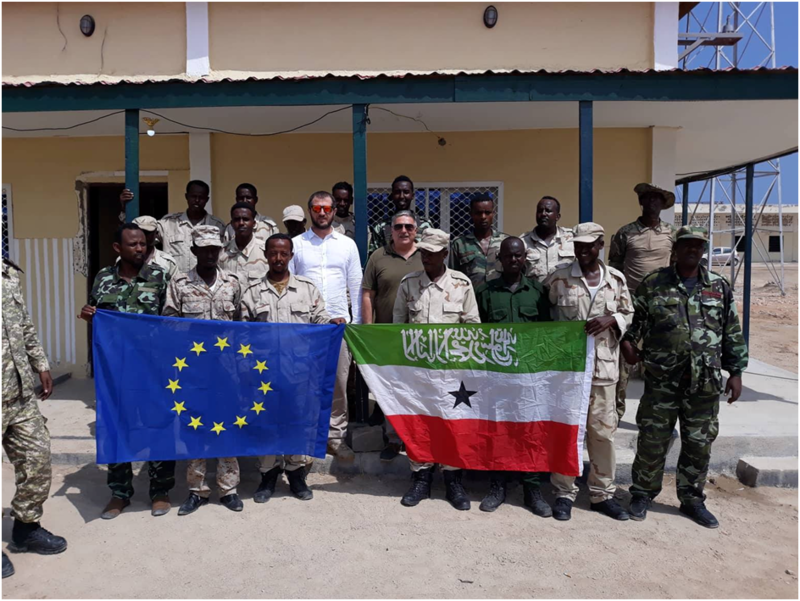 Search and Rescue (SAR) activities at sea saves lives and 21 Somaliland Coast Guard officers joined a SAR training course organised by EUCAP in Hargeisa, Somaliland. 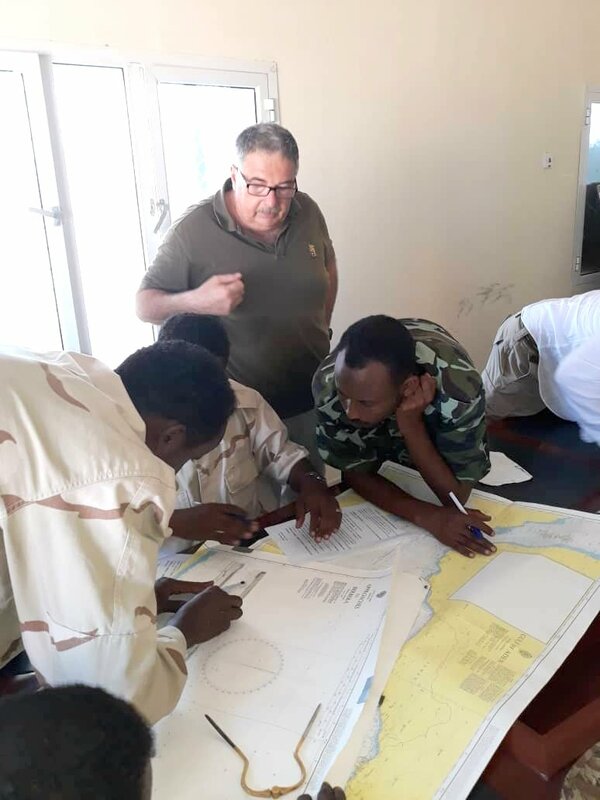 The training took place in Berbera from 23-28 March 2019 and aimed at enhancing their abilities to conduct Coast Guard (CG) functions at sea as part of a wider program of advising, mentoring and related SAR operations. The methodology was based on theoretical basic coastal navigation by using sea charts and lessons with audio-visual programs and lectures on navigation, communications and maritime English for SAR operations. 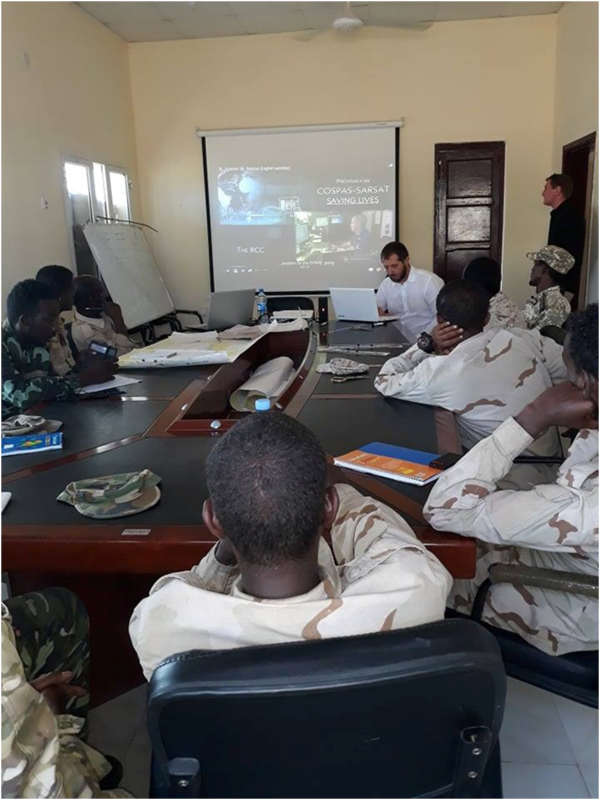 Col Harun, CG Base Commander welcomed EUCAP advisors and opened the session with his personnel (2 Officers, 17 Sergeants and 2 enlisted) who assisted all the training activities carried out in line with the agreed program of lessons. 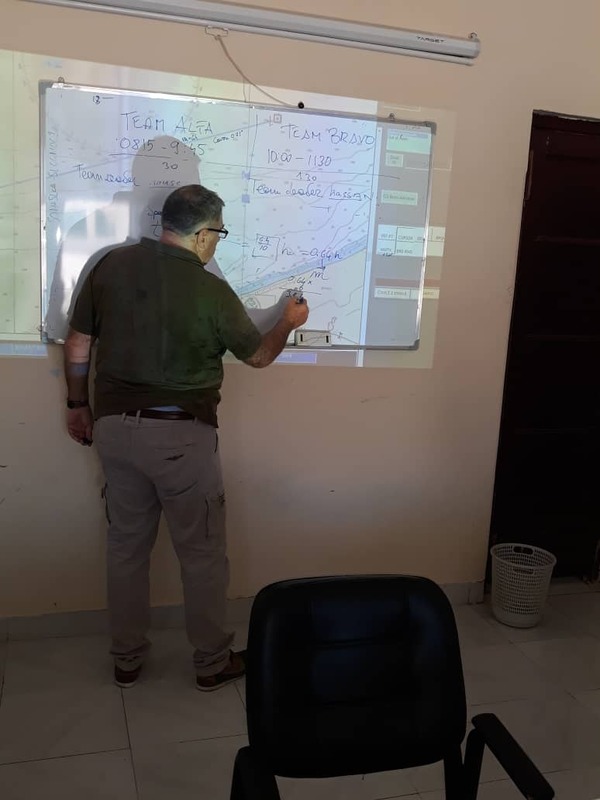 EUCAP Coast Guard and Coast Policing Advisors, L. Amicarelli and M. Chirila, ran indoor and outdoor activities on a variety of subjects including Maritime English (in according with IMO regulations) and Coastal Navigation in SAR operations. 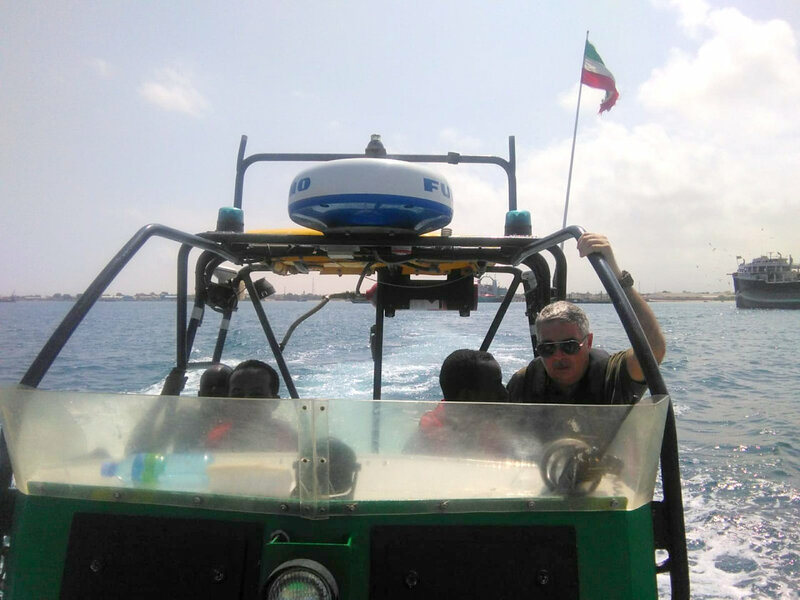 Other topics covered were Geographic Positions and use of nautical charts; Recognition and Identification of the coastline and report of surface tracks and Maritime communication using VHF marine equipment. Officers were trained on how to properly set geographic positions on a nautical chart and establish latitude and longitude coordinates. They also learned how to take a bearing and a range between two points on the chart and how to manage data on course and speed. 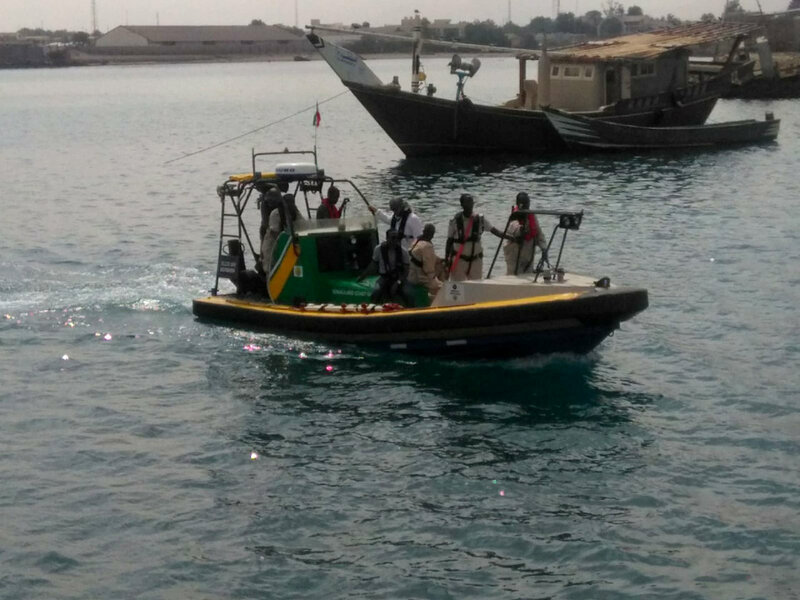 Maritime English was used during communication drills where a transmitting station gave positions while reporting situations and the trainees had to log messages at the receiving station.